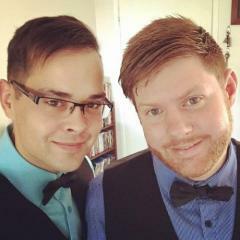 Just wondering if anyone knows if there's any indoor theme parks in Australia. Tops in Brisbane and Dazzeland in Adelaide spring to mind, but they are both closed now. Segaworld in Sydney, but that is closed also. Do they really count if they are closed? Also don't forget about all the Intensitys. There aren't really any true indoor theme parks in Oz. I guess Funtasia on the Gold Coast could probably just barely be counted, purely because its got a bumper cars and mini golf but even that's a bit dodgy (I don't really buy the arcade being an indoor theme park thing). Snow World is a possibility, since it is indoors and has a consistent theme, and an Ice slide, but again seems a bit dodgy. There was a proper indoor park proposed for Surfers (Named Fantasea if memory serves correctly), which was a sea themed park over 4 or 5 levels. Basically as you went further down the further down the sea you'd go, and on the bottom level there was a Deep Sea sub ride, and the top level was themed to be over the surface and basically be restaurants and the like. Sega World & Intensity were the only two indoor theme parks in Australia, anything else is just a large arcade. I remember reading about the Fantasea park, i think it was to be built above the coach terminal. From what i saw of the plan it would have been pretty cool. Intencity was never a "Theme Park", and never will be. They have always been arcades and whatnot with several gaming machines, and a cool atmosphere. That does not classify as a Theme Park. Rowens Funland in Ulladulla even classifies itself as an arcade, yet it has a quite large dodgem car track, and a great cha-cha. Earlier in the year, Defunction made public that Rowens Funland was to close if no owner was to purchase the arcade, however it does seem the arcade has been purchased, and re-branded "Timezone Funland" and has been extensively upgraded, with new rides on their way aswell. thanks for that paul, i've been racking my brain over the name of Funland in Ulladulla... on top of the dodgems, the cha cha, and the million and one arcade and redemption games, they also had a pretty cool slot car track. 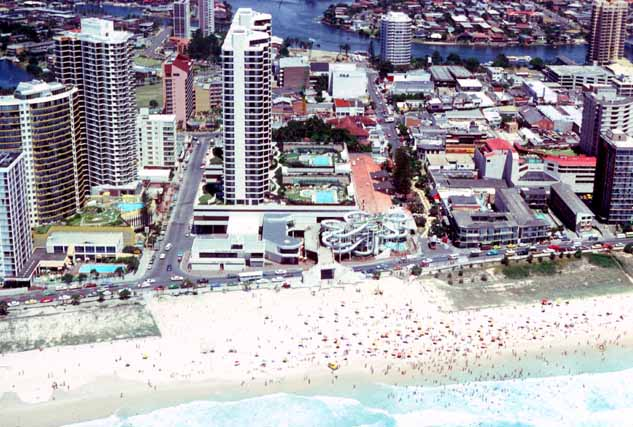 i used to like grundys, when it was at surfers paradise:) back in the day.. The original Intencity arcades were indoor theme parks that had a cafe/chillout/retail area & five themed zone/areas: NRG - racing, shooting, fighting Wide World of Sports - sports Virtual Worlds - network simulator attractions Lost Civilizations - redemption/prize games Kids area? (name unknown) - ball crawl, slides etc. They were a joint concept from WVTP & Nine Network for those that don't know. After the first two years the concept went bust, and now they only focuss on what remains of the small arcades. Ha ha I remember Grundy's, that place was good. 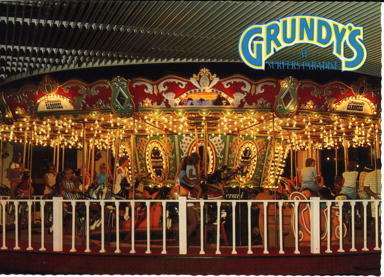 Not sure if this is right but was Grundy's just the old school name for Funtasia? I remember back in the day (early/mid 90's) at one stage they used to have a small indoor ghost train and a where Red Rooster now is that used to be a fast spinning ride, can't remember what it was called though, but it was fast. They also used to have outdoor minigolf. But as far as indoor theme parks go, I can only think of Top's and Dazzleland, which has been previously said are now closed and have been turned into something totally different. But as far as indoor arcades go, Funtasia and Galactic Circus are the best I've seen so far that are still in operation today. They are pretty sweet arcade wise, but pretty crappy if you're wanting more of a theme park than arcade. Not sure if they still have this but when I went to Funtasia for schoolies 2005, they had 6 linked Daytona USA and 6 linked Virtua racing games set up, each with 50" screens and motion cabinets, which meant that when you turned a corner on the game, the seat you were sitting in would turn as well. I'm not sure if they still have these set up though, but check it out. Also Funtasia has a Ridge Racer full scale game set up as well, which means that you get into an actual Mazda MX-5 Miata and the game is displayed on a 18 foot screen which is achieved by 2 projectors running simultaneously. definitely worth a try. Grundy's had quite a few rides in the late 80's & early 90's. There were the dodgems, a tilt'a'whirl, a small kiddies powered coaster, the ghost train (which was awesome) and the fast spinning ride in the round glass part of the building. I can't remember if there were any others besides I think maybe a simulator. The fast spinning ride in the round glass part of the building is now a Red Rooster, that's the one I was thinking of but wasn't sure how to describe it. I know someone who might remember the name of that ride, so I'll ask them sometime. The dodgems are still there but I don't remember much of the ghost train. All I remember is that it had a pretty sweet/freaky entrance way. 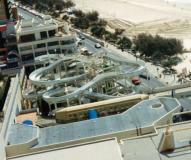 Glenelg in South Australia has The Beach House which is a small indoor theme park on the site of the old Magic Mountain. It contains a number of attractions including a carousel, dodgem cars, bumper boats, waterslides, mini golf, a train and numerous arcade games. It is proposed to build a 25 mtere, 16 gondola ferris wheel. They are claiming it is Australia's first single arm wheel? It is due to open in October. 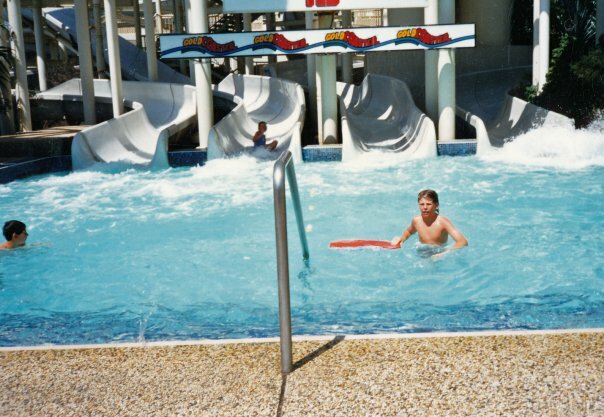 Grundys even had waterslides at one point! 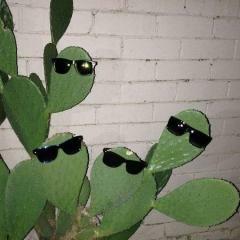 Yeah that's right I've seen some pics of it. 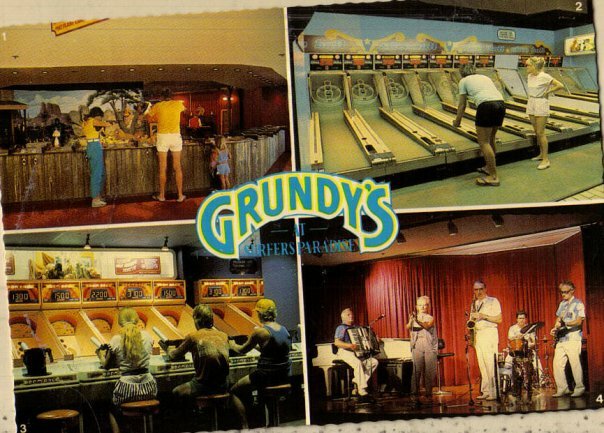 Does anyone here on the forum have any other old photo's of what Grundy's/Funtasia looked like back in the 80's and 90's? There was a proper indoor park proposed for Surfers (Named Fantasea if memory serves correctly), which was a sea themed park over 4 or 5 levels. Basically as you went further down the further down the sea you'd go, and on the bottom level there was a Deep Sea sub ride, and the top level was themed to be over the surface and basically be restaurants and the like. Wow thanks for the pics. 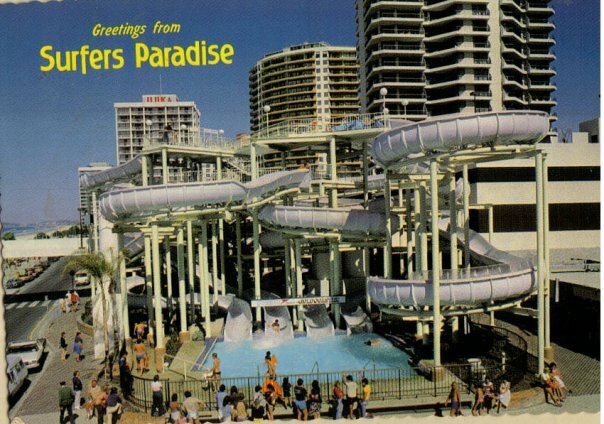 I don't remember those waterslides at all - they must have been around in the 70's but perhaps they weren't there when I was visiting Grundy's in the mid to late 80's. 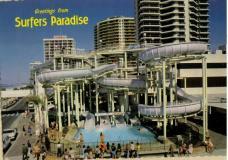 Can you imagine how popular waterslides on Cavill would be if they were there now! 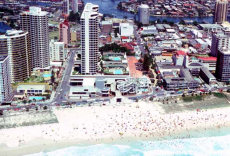 One thing I find strange is I always remember Grundy's being on the other side of Cavill mall. Did they move locations or am I just getting confused? 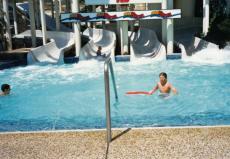 Thanks for putting up the pics, I never knew they had water slides there till I saw those photo's. I would have started going there in the early 90's and now I remember they used to have a carousel where Timezone now is. Didn't get to ride the Ghost Train though coz I was pretty young back when it was there but from the description "GoGoBoy" gave it seems like it was pretty good. I remember seeing it there a few times when it was still operating. They still have Mini Golf there but it's now indoors in Timezone and the outdoor one has been shutdown for years and nothing has been done to it, it just sits there vacant which is a shame. I'm guessing the Carousel or the Ghost Train used to be where the indoor Mini Golf now is. 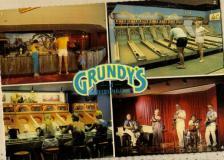 If Grundy's was still open these days it would be like a mini night time amusement park, it's changed so much since then.